The dying days of summer are here (how else can you define the Labour Day weekend? ), which means it’s time to squeeze in as much summer activity as you possibly can. So grab your friends and family and give one last collective hoorah to all things summer and fun by indulging in one of these last-minute Labour Day weekend getaways. Although many campsites are packed throughout the summer, the Labour Day weekend is one of the few where sites may be empty (thank the families with children who are prepping them for back-to-school). 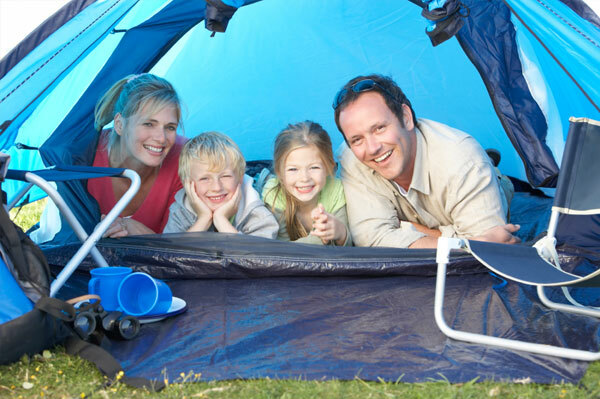 Contact your provincial campsites to see what they have available. Even if you book last minute, rates will be the same as they are throughout the summer and you may even be able to score a fancy site near a general store or the campground’s beach. For more information on last minute camping trip for Labour Day weekend, visit Parks Canada’s for website. Because many people are prepping for back-to-school, big cities can be unusually quiet over the Labour Day weekend. Which means it’s the perfect time to take in some of the more touristy attractions that are usually crowded. Visit museums or local zoos. Take in a theatre production or go see a movie. Now’s your time to take in a city the way you want to take it in. You may even be able to treat yourself to a stay at a local hotel. Though cottages are usually packed over this long weekend (chocker-block full of Canucks grasping to every water-ski or dunk in the water they can), it’s also a good time to score a last-minute cottage rental. The best place to find rentals is, obviously, through word of mouth, but you can also find some Labour Day weekend rental options posted on craigslist and kijiji. One of the things Canada does best is beaches (though, you wouldn’t know it because no one really talks about it). Across the country there are beaches just waiting to be enjoyed all summer long. And now that the season’s wrapping up, if you haven’t already, it’s time to indulge in one. Check out locations like Kitsilano in Vancouver or Kew-Balmy Beach in Toronto. Not only do the Great White North’s beaches have clear, Blue Flag-endorsed water to offer, there are also tons of activities to take part in such as volleyball, boardwalks to rollerblade on, etc. With so many local airlines now flying south of the border, the Labour Day Weekend is also the perfect time to take advantage of discounted travel deals to locations like New York City or Chicago (families in the United States are also prepping kids for back-to-school). For last minute Labour Day weekend ideas visit websites like Travelocity.ca for great deals. You’ll get to experience unique places without the crowds.